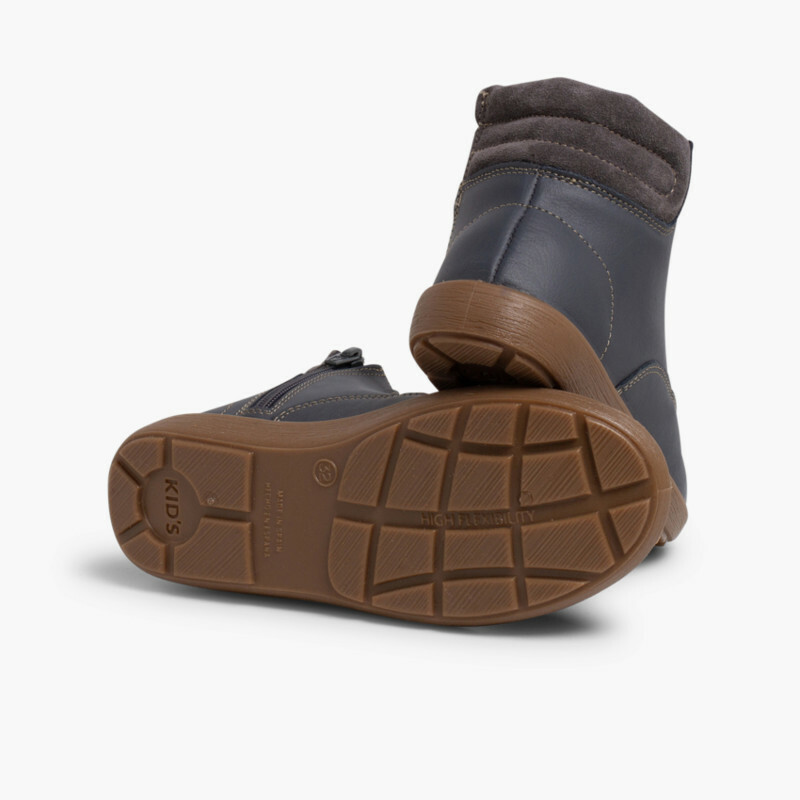 Washable boots for children with side zips, a sure bet which is essential for the autumn-winter so that their footwear will always be clean. 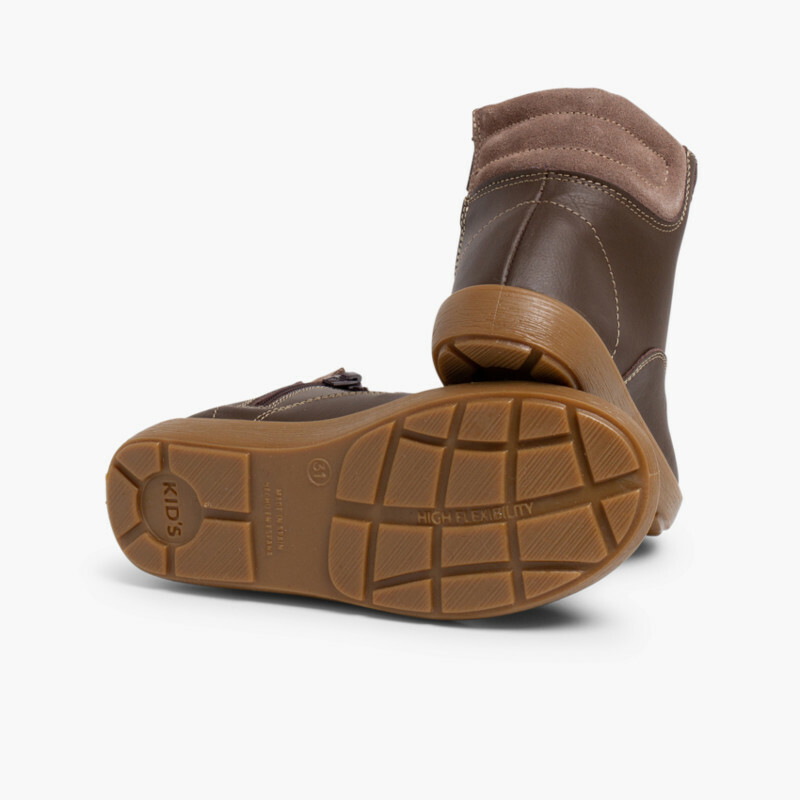 Their height of these boots provides extra support for the ankle and the decoration at the back provides extra comfort and prevents chafing. 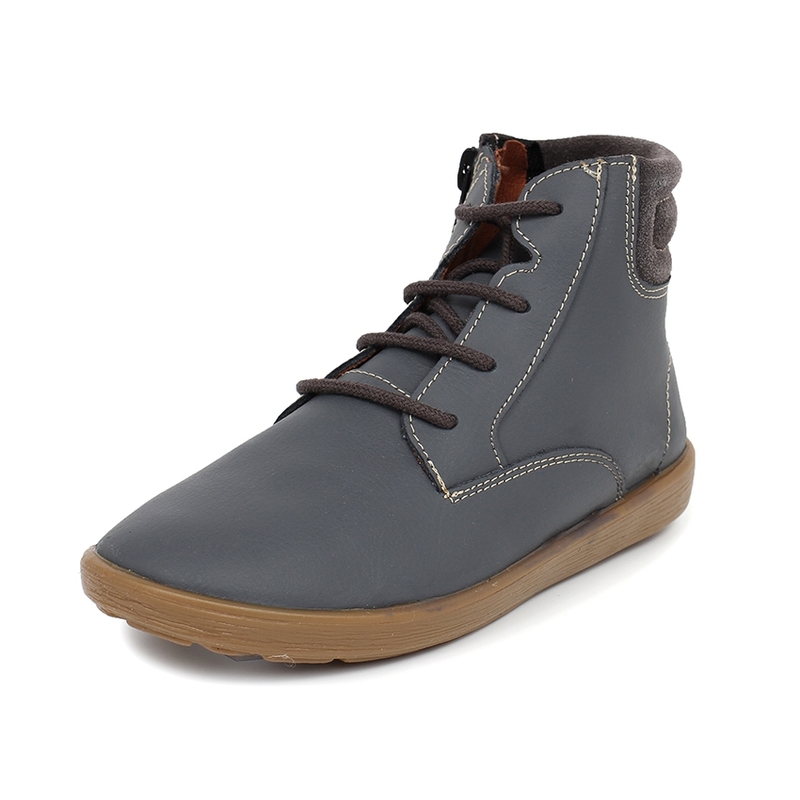 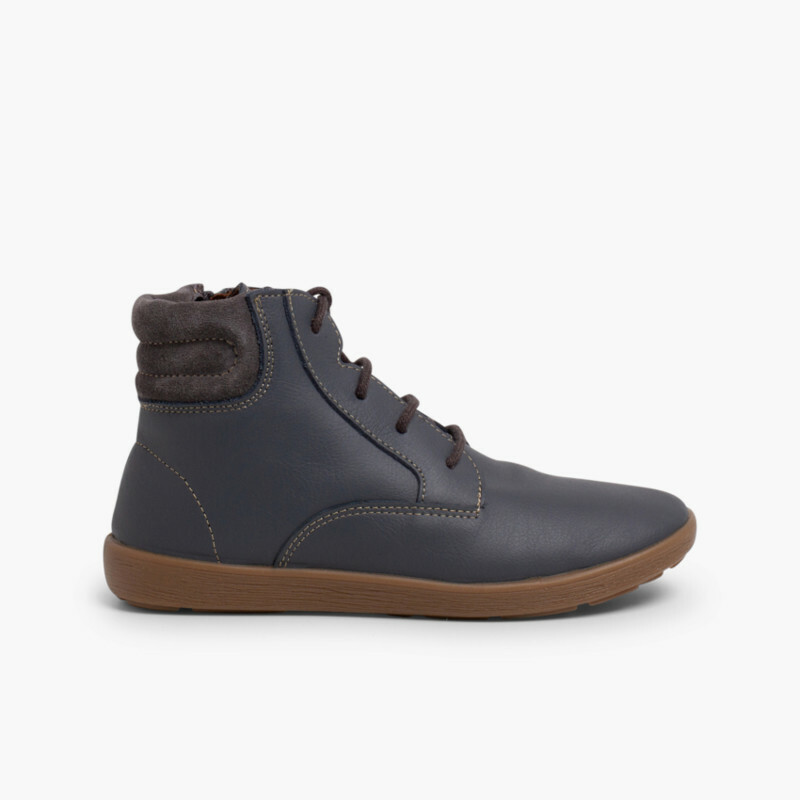 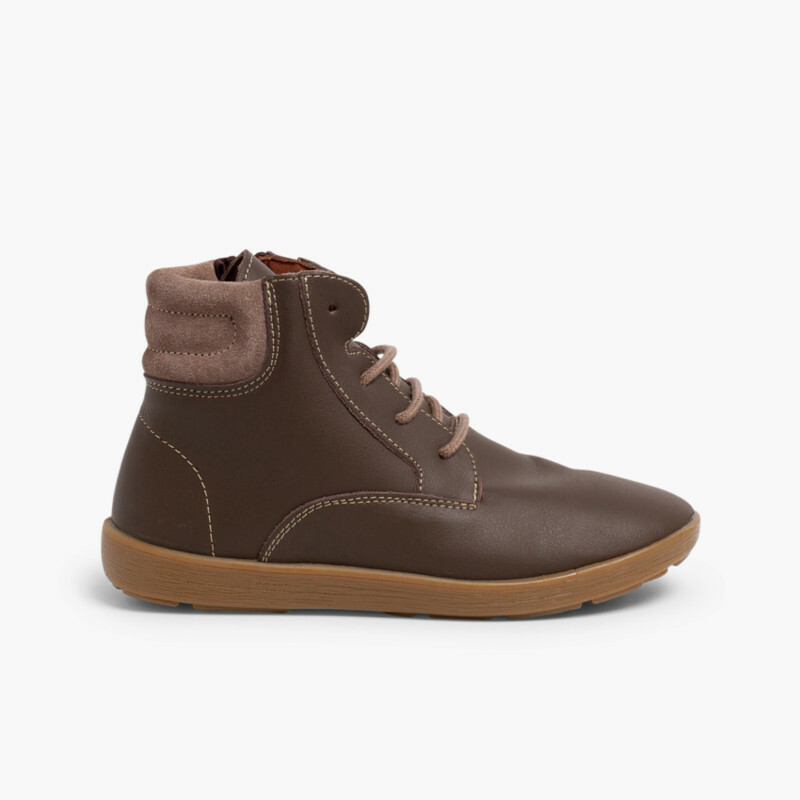 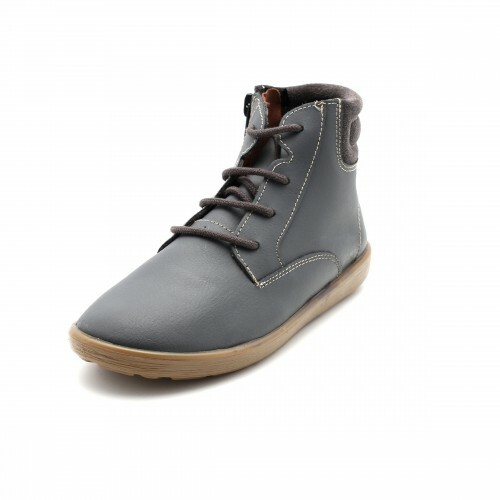 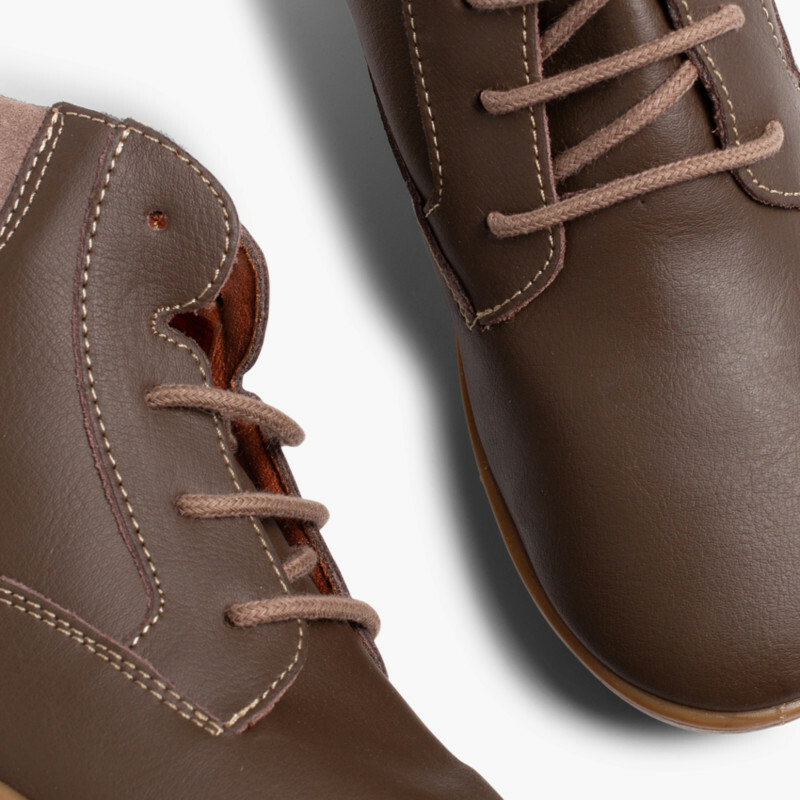 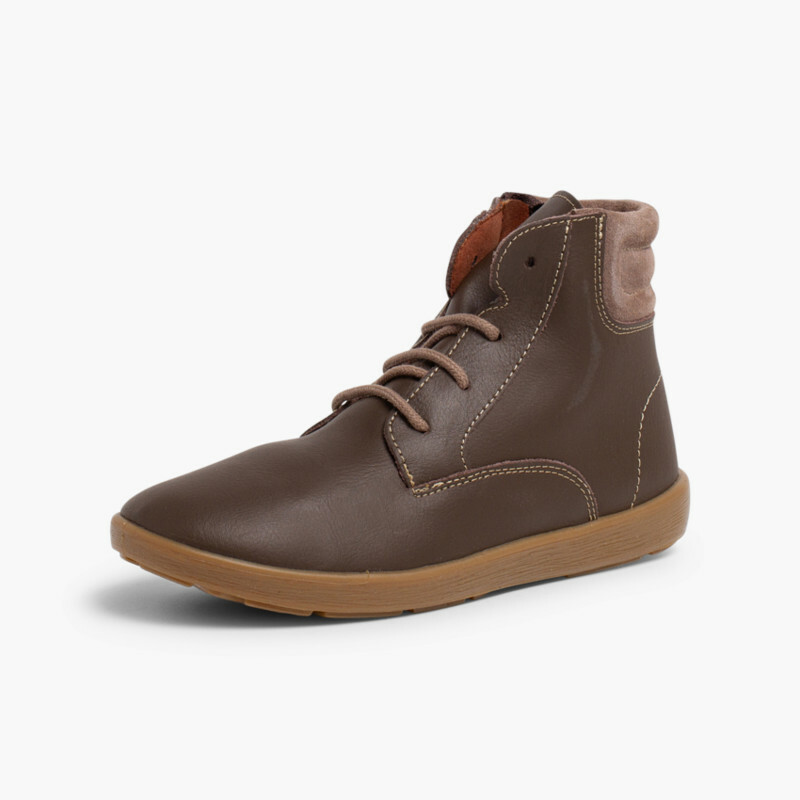 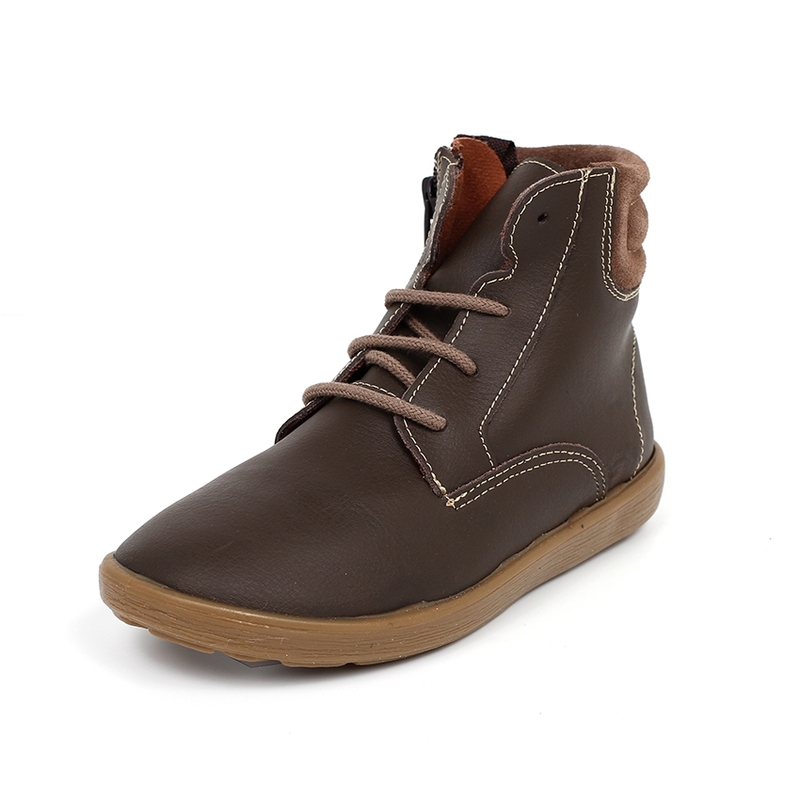 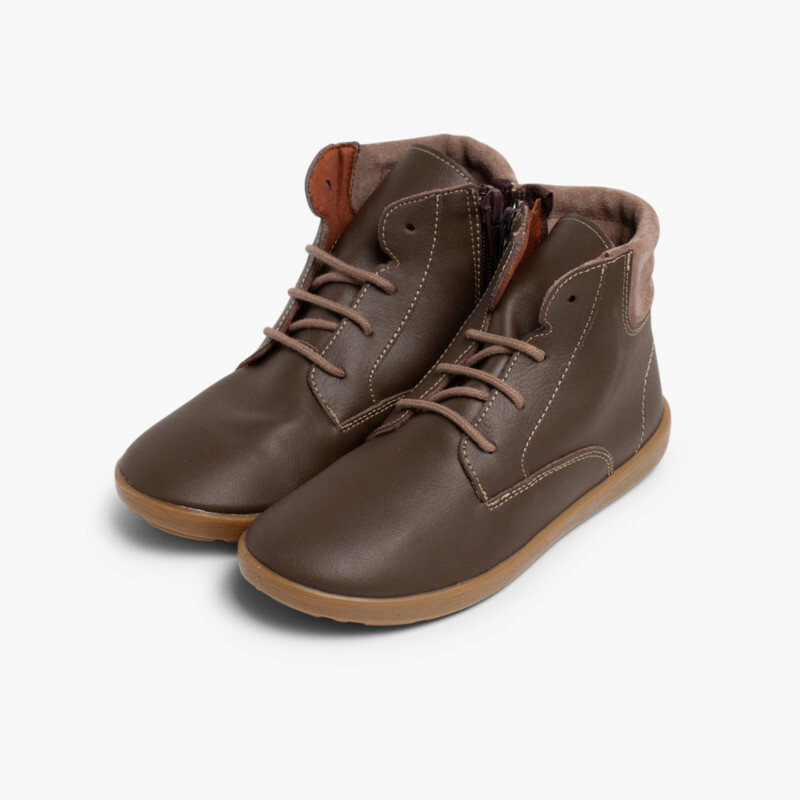 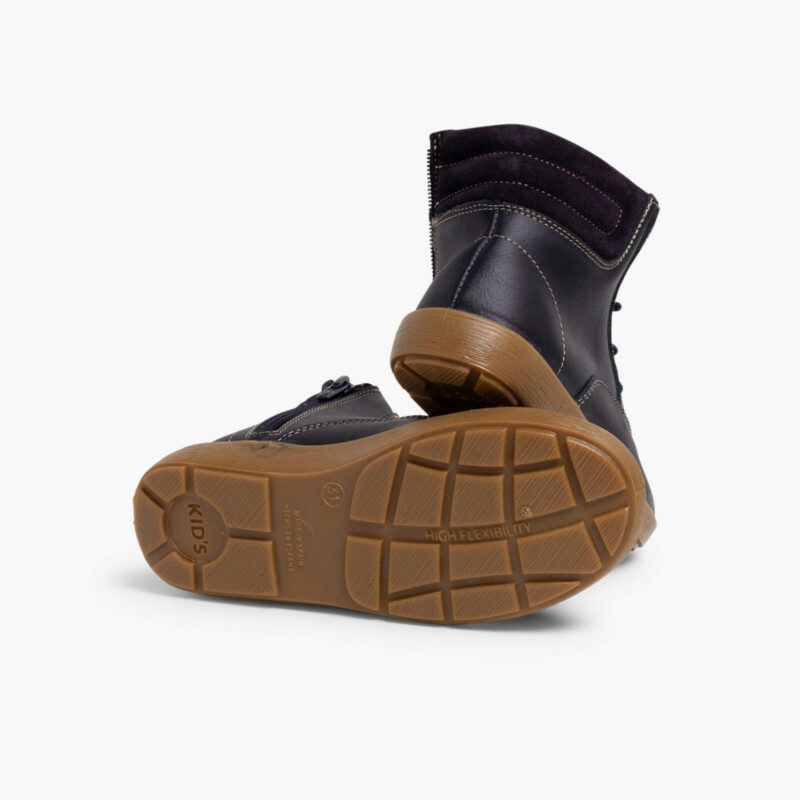 They combine the appearance of a lace-up ankle boot with the advantage offered by the side zippers, so your kids can put them on and take them off themselves without any difficulty. 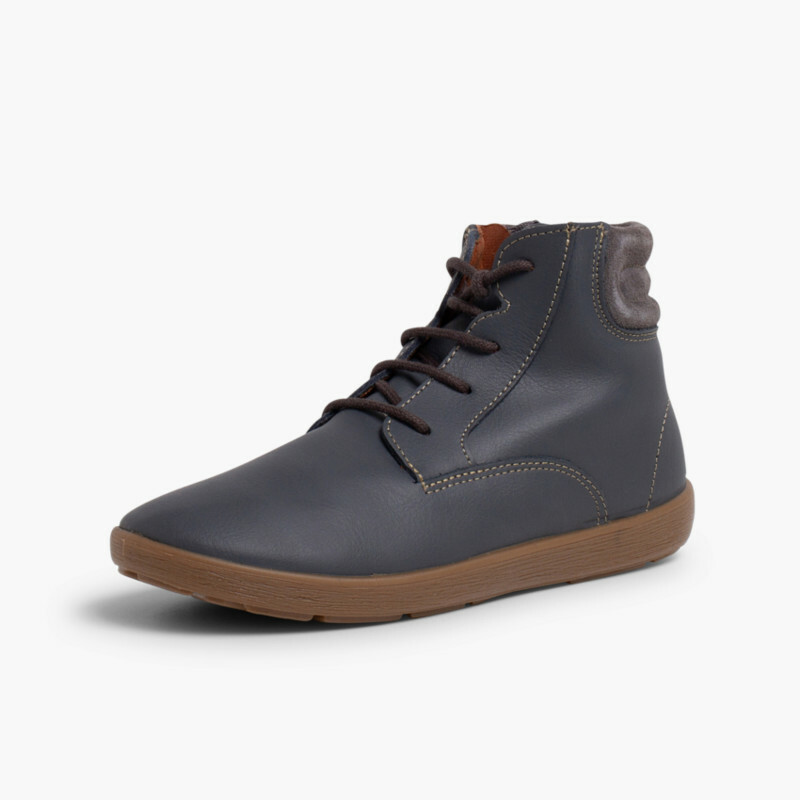 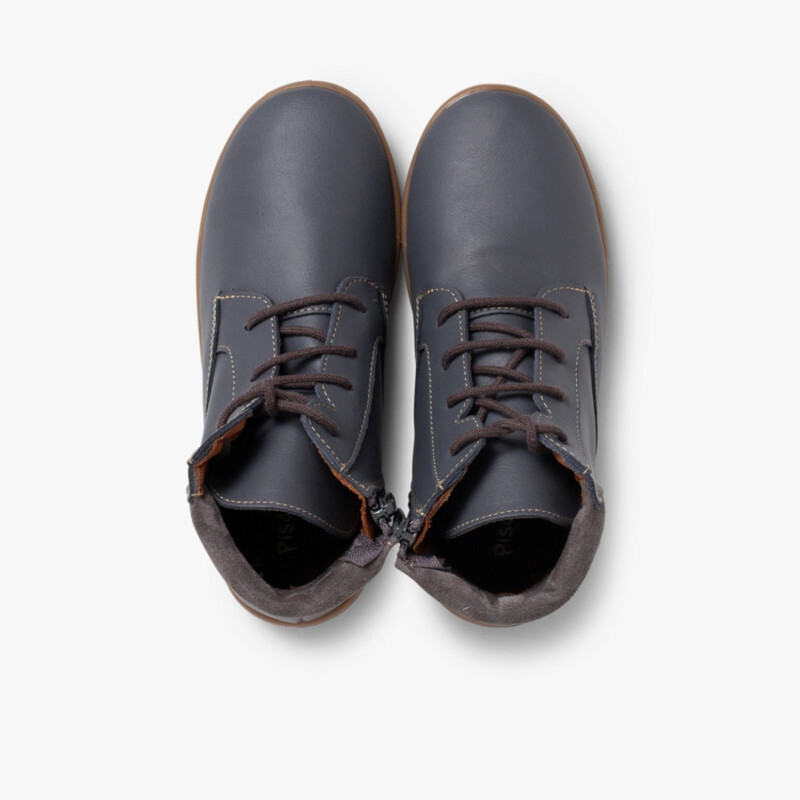 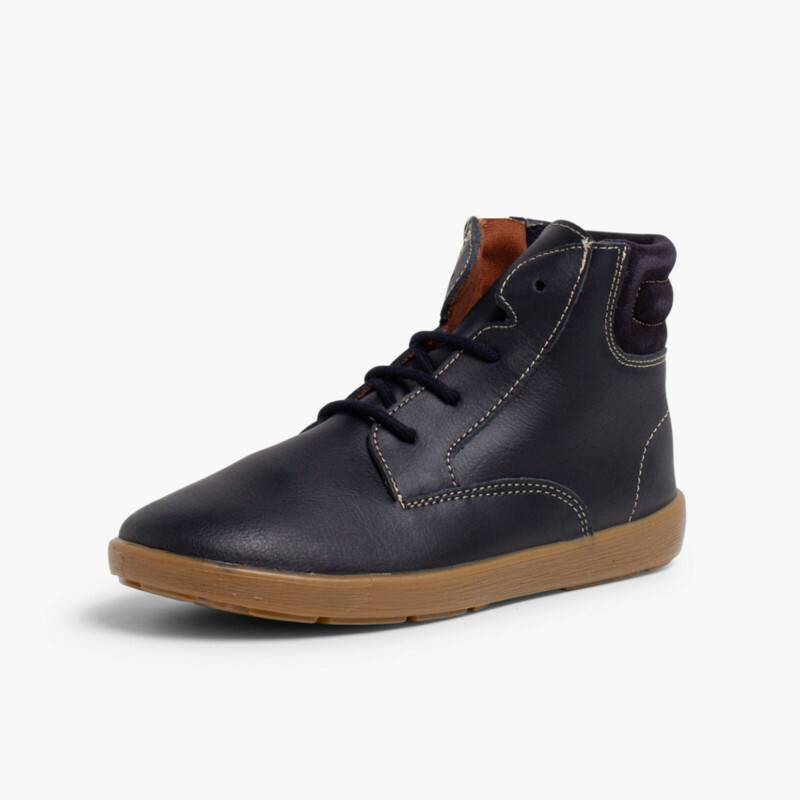 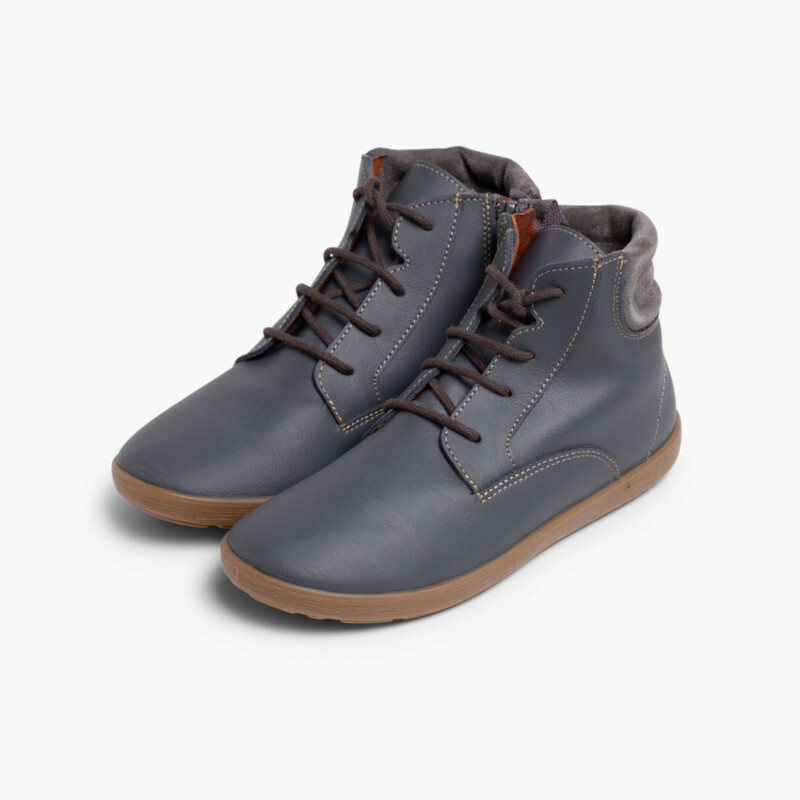 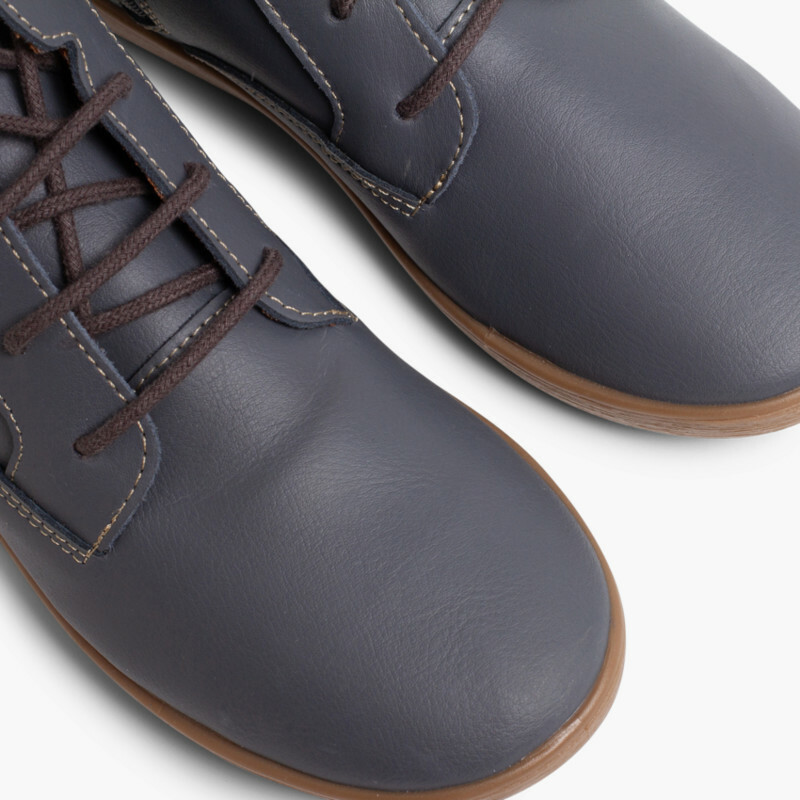 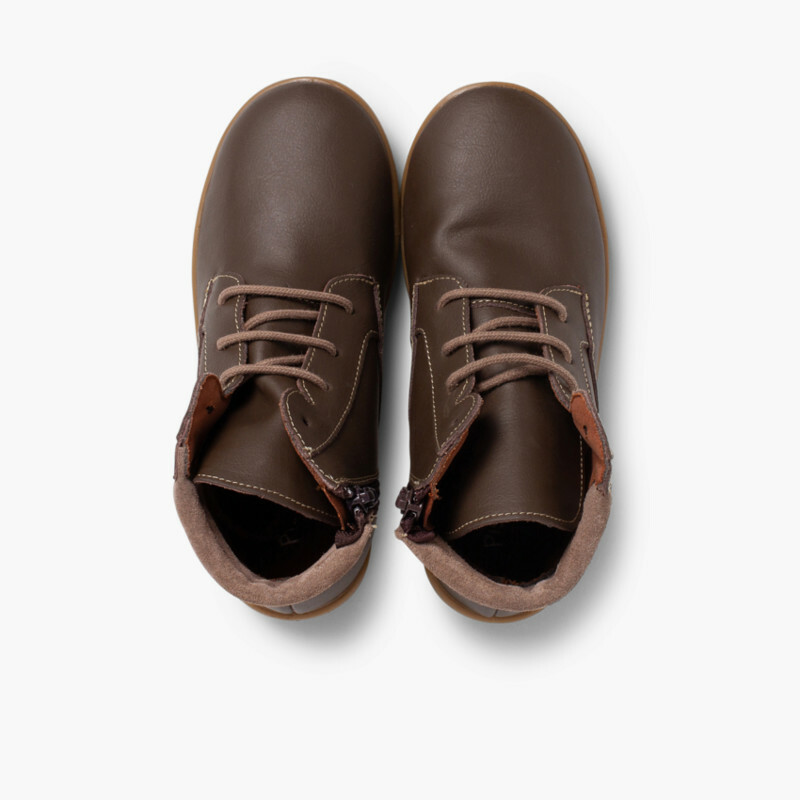 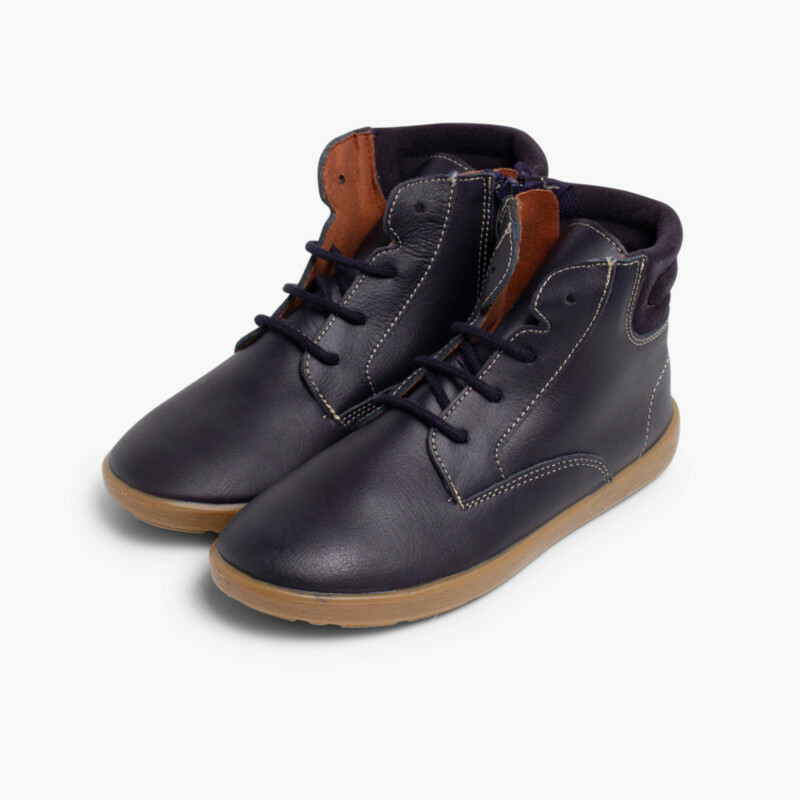 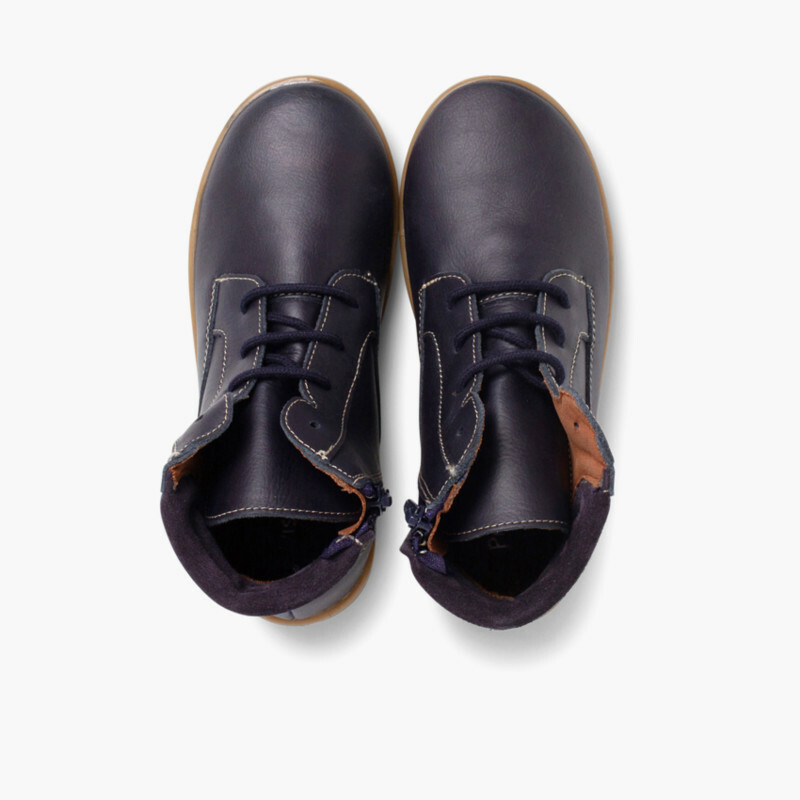 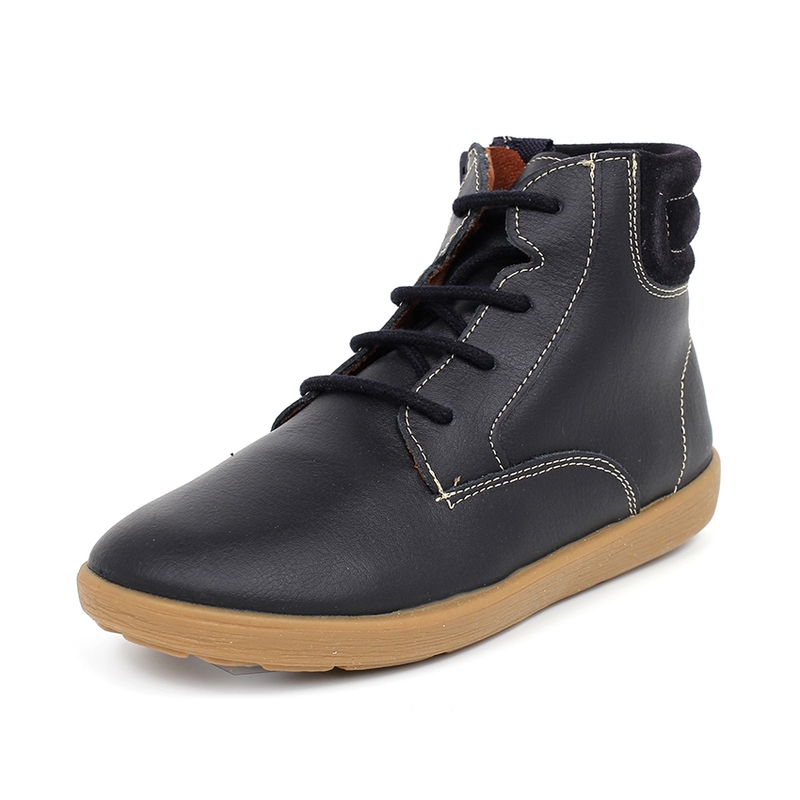 These boys’ school boots are made in washable leather, so no puddles will be too great for your children and they will always look like new. 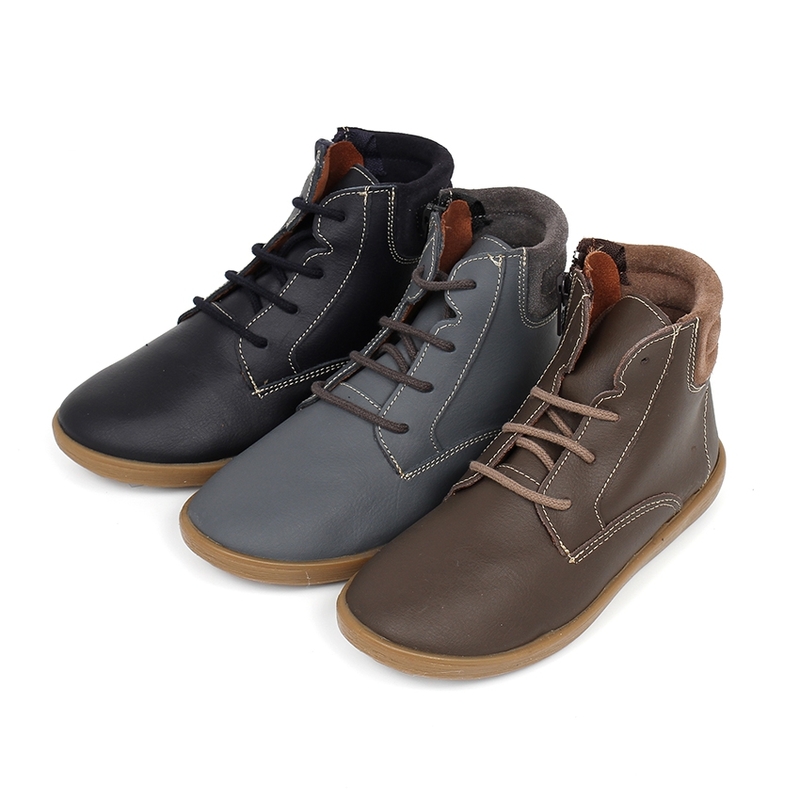 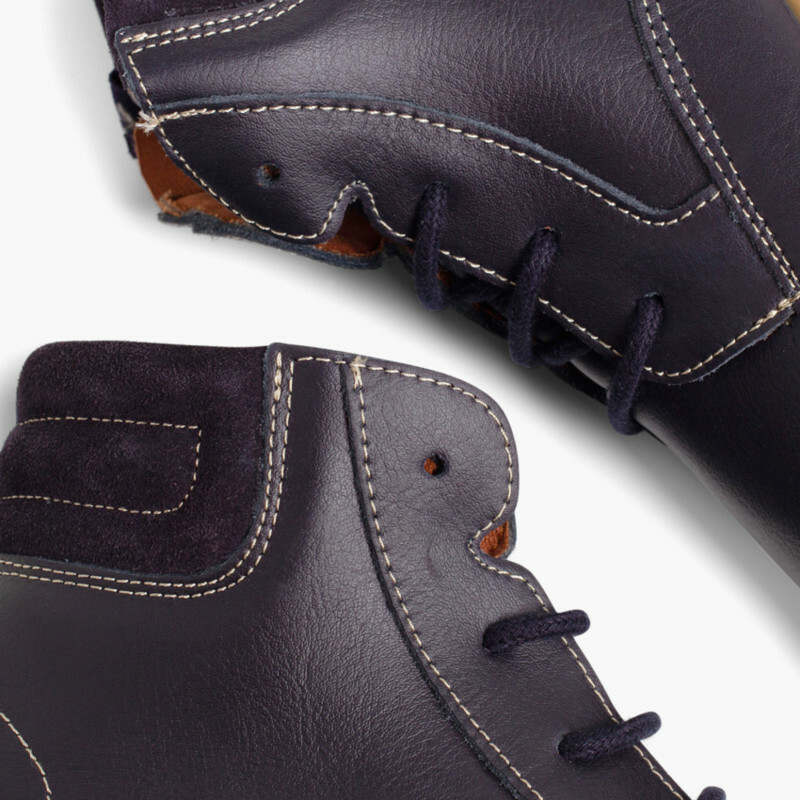 Available in three dark colours that go with any autumn-winter look: choose between dark blue, grey and brown. 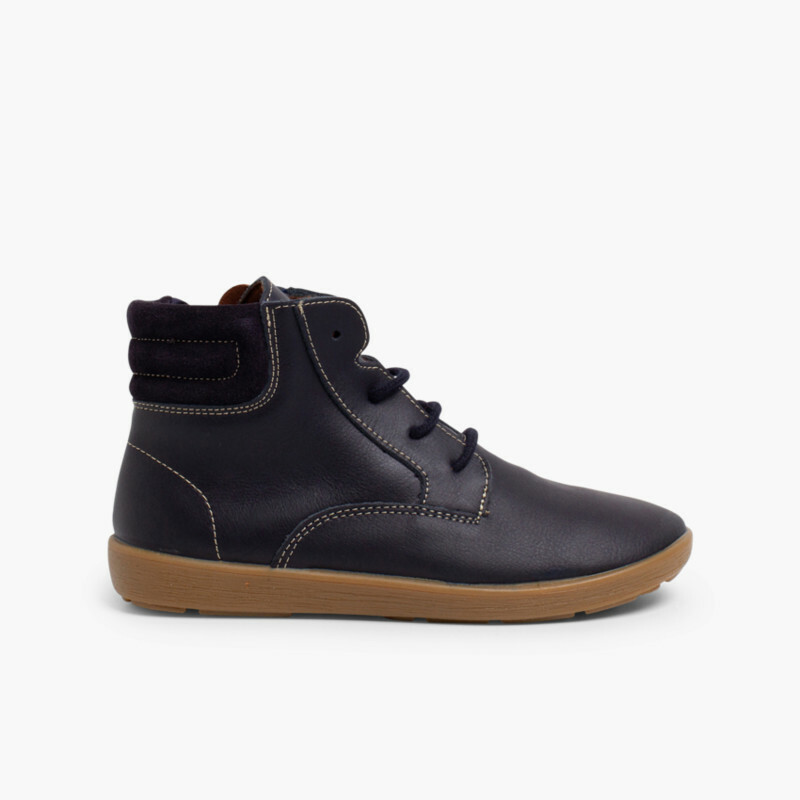 Both for kids and adults in sizes 7.5 child up to 7 adult.